While the residential and commercial real estate markets in New York, San Francisco and Miami make constant headlines for their soaring prices, none of them cracked a new CBRE ranking of the world’s priciest business districts. Indeed, six of the top 10 districts are in Asian cities, with Hong Kong (Central) and two Beijing centers (Finance Street and CBD) filling in the second, third and fourth slots. 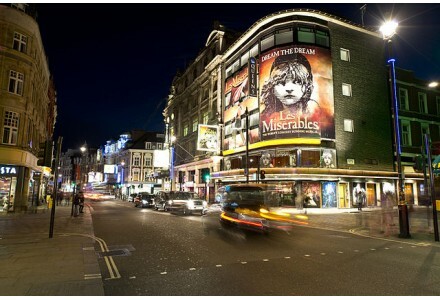 But London’s West End was again at the top of the heap, with average costs more than double those in Midtown Manhattan. Speaking of Midtown, its modest international ranking could lend ammo to developers’ arguments that the district’s aging office stock—the average building there is over 70 years old—has dented its prestige. A contentious proposal to dramatically upzone the neighborhood was killed in City Hall late last year, but is due for another look under NYC Mayor Bill de Blasio. San Francisco (Downtown) was nipping at Midtown’s heels as tech power players continue to set up shot in the city as opposed to Silicon Valley. Boston; Washington, D.C.; Los Angeles, Downtown Manhattan; and San Francisco’s Peninsula market were the only other American neighborhoods to make the top 50. Seattle may crack that tier soon: it saw the third largest percentage risein occupancy costs of any city on the list.